The overcurrent protection required for transformers is consider for Protection of Transformer only. Such overcurrent protection will not necessarily protect the primary or secondary conductors or equipment connected on the secondary side of the transformer. When voltage is switched on to energize a transformer, the transformer core normally saturates. This results in a large inrush current which is greatest during the first half cycle (approximately 0.01 second) and becomes progressively less severe over the next several cycles (approximately 1 second) until the transformer reaches its normal magnetizing current. To accommodate this inrush current, fuses are often selected which have time-current withstand values of at least 12 times transformer primary rated current for 0.1 second and 25 times for 0.01 second. Some small dry-type transformers may have substantially greater inrush currents. To avoid using over sized conductors, overcurrent devices should be selected at about 110 to 125 percent of the transformer full-load current rating. And when using such smaller overcurrent protection, devices should be of the time-delay type (on the primary side) to compensate for inrush currents which reach 8 to 10 times the full-load primary current of the transformer for about 0.1 s when energized initially. Protection of secondary conductors has to be provided completely separately from any primary-side protection. A supervised location is a location where conditions of maintenance and supervision ensure that only qualified persons will monitor and service the transformer installation. Overcurrent protection for a transformer on the primary side is typically a circuit breaker. In some instances where there is not a high voltage panel, there is a fused disconnect instead. It is important to note that the overcurrent device on the primary side must be sized based on the transformer KVA rating and not sized based on the secondary load to the transformer. Rating of Pri. Circuit Breaker at Point A= 600% of Pri. Full Load Current or Next higher Standard size. Rating of Sec. Fuse / Circuit Breaker at Point B= 125% of Sec. Full Load Current or Next higher Standard size. Rating of Sec. Circuit Breaker at Point B= 300% of Sec. Full Load Current. Rating of Primary Fuse = 3X39A = 118A, So Standard Size of Fuse = 125A. OR Rating of Primary Circuit Breaker = 6X39A = 236A, So standard size of CB = 250A. Full Load Current at Secondary side = 750000/(1.732X415) = 1043A. Rating of Secondary of Fuse / Circuit Breaker = 1.25X1043A = 1304A, so standard size of Fuse = 1600A. Rating of Pri. Fuse at Point A= 300% of Primary Full Load Current or Next higher Standard size. Rating of Pri. Circuit Breaker at Point A= 400% of Primary Full Load Current or Next higher Standard size. Rating of Sec. Fuse at Point B= 225% of Sec. Full Load Current or Next higher Standard size. Rating of Sec. Circuit Breaker at Point B= 250% of Sec. Full Load Current or Next higher Standard size. Rating of Pri. Fuse = 3X87A = 262A, so next standard size of Fuse = 300A. OR Rating of Pri. Circuit Breaker = 6X87A = 525A, so next standard size of CB = 600A. Full Load Current at Secondary side = 10000000/(1.732X11000) = 525A. Rating of Sec. Fuse = 2.25X525A = 1181A, so next standard size of fuse = 1200A. OR Rating of Sec. Circuit Breaker = 2.5X525A = 1312A, so next standard size of circuit breaker = 1600A. Rating of Pri. Fuse at Point A= 250% of Primary Full Load Current or Next higher Standard size. Rating of Pri. Circuit Breaker at Point A= 300% of Primary Full Load Current or Next higher Standard size. Rating of Pri. Fuse at Point A= 300% of Pri. full load current or next lower standard size. Rating of Pri. Circuit Breaker at Point A= 600% of Pri. full load current or next lower standard size. Rating of Sec. Fuse / Circuit Breaker at Point B= 250% of Sec. Full Load Current or Next higher Standard size. Rating of Sec. Fuse at Point B= 250% of Sec. Full Load Current or Next Lower Standard size. Rating of Sec. Circuit Breaker at Point B= 300% of Sec. Full Load Current or Next Lower Standard size. Rating of Primary Fuse = 3X39A = 118A, so next lower standard size of fuse = 110A. OR Rating of Primary Circuit Breaker = 6X39A = 236A, so next lower standard size of Circuit Breaker = 225A. Full Load Current at Secondary side = 750000/(1.732X415) =1043A. Rating of Secondary of Fuse / Circuit Breaker = 2.5X1043A=2609A, so standard size of Fuse = 2500A. Rating of Pri. Circuit Breaker at Point A= 400% of Pri. full load current or next lower standard size. Rating of Sec. Fuse at Point B= 225% of Sec. full load current or next lower standard size. Rating of Sec. Circuit Breaker at Point B= 250% of Sec. full load current or next lower standard size. OR Rating of Primary Circuit Breaker = 4X39A = 157A, so next lower standard size of Circuit Breaker = 150A. Here we see two notable conditions while we select Fuse / Circuit Breaker in Supervised Location and Unsupervised Location. First notable condition is Primary Overcurrent Protection. In unsupervised location fuse in primary side is 300% of primary current or Next Higher Standard size and in supervised location is 300% of primary current or Next Lower Standard size. Here primary overcurrent protection is same in both conditions (300%), but selecting size of Fuse/Circuit Breaker is different. Lets us Check with the Example for 750KVA, 11KV/415V 3Phase Transformer. Second notable condition is Secondary Overcurrent Protection increased from 125% to 250% for unsupervised to Supervised Location. NH: Next Higher Standard Size. Rating of Pri. Fuse / C.B at Point A = 300% of Pri. full load current or next lower standard size. Rating of Primary Fuse = 3X1A = 3A, so next lower standard size of Fuse = 3A. Rating of Sec. Fuse / C.B at Point A = 167% of Pri. full load current or next lower standard size. Rating of Primary Fuse = 1.67X4A = 6A, so next lower standard size of Fuse = 6A. Rating of Pri. Fuse / C.B at Point A = 125% of Pri. full load current or next higher standard size. Rating of Primary Fuse = 1.25X18A= 23A, so next higher standard size of Fuse = 25A. Rating of Pri. Fuse / C.B at Point A = 250% of Pri. full load current or next lower standard size. Rating of Sec. Fuse / C.B at Point A= 250% of Pri. full load current or next lower standard size. Rating of Pri. Fuse / C.B at Point A= 250% of Pri. Full Load Current or Lower Higher Standard size. Rating of Primary Fuse = 2.50X30A= 75A, So Next Lower Standard Size of Fuse =70A. Rating of Pri. Fuse / C.B at Point B= 167% of Sec. Full Load Current or Lower Standard size. Rating of Primary Fuse = 1.67X8A= 13A, So Next Lower Standard Size of Fuse =9A. Rating of Pri. Fuse / C.B at Point A= 125% of Pri. Full Load Current or Higher Standard size. Rating of Primary Fuse = 1.25X38A= 63A, So Next Higher Standard Size of Fuse =70A. Hi. A ton of good information here. I am reading the very beginning. “This results in a large inrush current which is greatest during the first half cycle (approximately 0.01 second) and becomes progressively less severe over the next several cycles (approximately 1 second) until the transformer reaches its normal magnetizing current.” You think flux builds up over multiple cycles? Anything is saved or stored in a transformer from cycle to cycle? 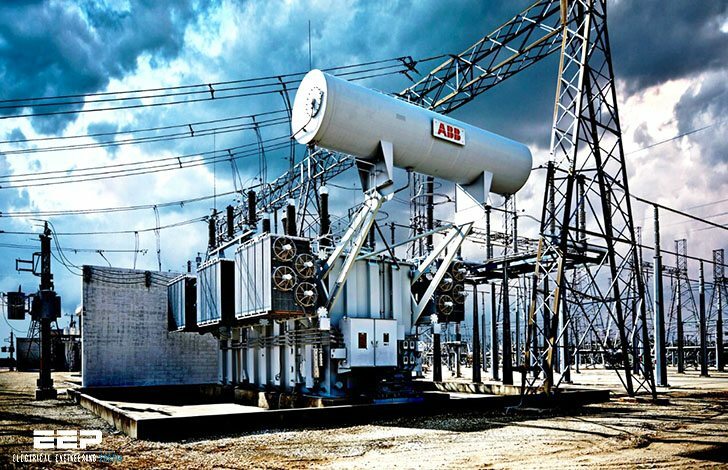 “Such overcurrent protection will not necessarily protect the primary or secondary conductors or equipment connected on the secondary side of the transformer. You make the good point that the protection is for the transformer and may or may not protect the conductors. But then why the “over sized conductors” comment? The 125% is for the transformer. We have one three winding transformer 75/60/45MVA, 220/11/11kV, Pri to sec. and Pri. to Ter. % impedance 13.2. Secondary current 1080/1440/1800A and primary 196A. Please give overcurrent and short circuit setting of primary and secondary side of transformer. Thank you for this. I found the article to be very helpful though you may want to double check your math in the last example. Specifically the item below should be 47.5A not 63A so you would need a 50A Fuse instead of 70A. Have you done a good work here. Please please show if a line of medium voltage 22.9 kV system with isolated neutral delta in 22.9, with transformer Delta-Star (22.9-0.22 kV) is required to implement protection ground fault line in the beginning of the line 22.9 kV, if applicable type of protection that should be placed (ie relay function). If you can publish an article on this subject is appreciated. 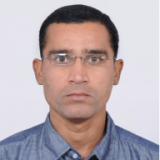 Dear Parmar,what about the over protection of transformer with respect of IEC following countries?.Whether there is any connection and formula for design of the transformer protection circuits? Thanks a lot, it’s very useful me. Engineer is looking for fuses to protect 25KV primary transformer for railway industry. Thanks for information please contact us if any, kind of this product available. Tks so much for such educating website. I’ve got only 1 question – what do you mean by supervised and unsupervised locations. In your example of “OverCurrent Protection at Primary Side (More than 9A)” why did you use 125000 instead of 25000 (25KVA) in your calculation of the full load current at the primary side? But I understand this article is related to component sizing selection (Fuse and CB) not Overcurrent protection. e.g. This article explained the selection of FUSE rating, CB rating only. it doesn;t explain the protection setting (Pick Up point for Inst and IDMT). If there any article for Overcurrent Protection for transformer Setting (Instantaneous and IDMT), please share. This is a very good website.I really enjoy logging to it. Thank you Chakwesha! Glad you find EEP usefull for your education/work. Technical writers like Jignesh and others are really contrubuting a lot.